Having great experience in supporting many Greek-Americans in their pursuit of high political positions, the California based Political Action Committee “Dynamis” is promoting the idea of creating a similar type of organization in New York and the bordering states. Dynamis’ President, James Kakridas, spoke on Wednesday night at an event hosted at the Pylos Restaurant in East Village, by businessman and philanthropist Michael Parlamis, and encouraged a group of GreekAmericans to create a similar organization in the area. The mother organization will provide with legal assistance, but the local organization will keep its independence. “If the politicians hear the name Dynamis across the country, will count on us”, said Mr Kakridas, a resident o California. The idea is, when a worthy Greek American candidate, of either political party, appears, to be able to accumulate support from around the country for his election. “One of the local candidates we have supported was Michael Gianaris”, he said. Since it was founded in 1985, by Angelo Tsakopoulos, George Markus and others, “Dynamis” has supported a large number of Greek American Politcians. “We have given out about 50 million in political contributions“, said James Kakridas, President of Cal West Investment Corp. who have chosen California as his residence because it was reminding him of Greece. 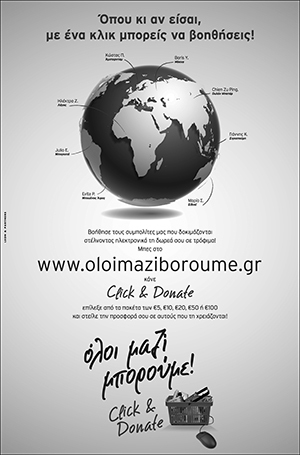 To provide financial and political support to worthy Greek-American and other Philhellene candidates for Federal and California State office without regard to the candidate’s political affiliation. To support efforts to seek out and encourage worthy candidates to seek Federal and California State and local public offices. To support efforts to have worthy candidates be appointed to Federal and California State and local public offices. To promote and support efforts to strengthen and enhance international relations between Greece and the United States and to promote the interests of all Hellenes in connection with the support of worthy candidates for public office. He finally said that Dynamis is a purely political organization and not a social one. The list of Greek American candidates supported by “Dynamis include, Art Agnos, George Agnost, Phil Angelides, Jim Beall, Michael Bilirakis, Helen Boosalis, Earl Cantos, Peter Doukas, Michael Dukakis, Byron Georgiou, John Geranios, Roxani Gillspie, Lee Hamilton, George Hasiotis, Howell Heflen, George Kasolas, Terry Kastani, Ron Klink, Michael Kirros, Ted Laliotis, Jim Leventis, Nicholas Mavroulas, Peter Mehas Nick Paleologos, Chris Patterakis, Nick Patsaouras, Nick Petris, Lou Papan, Mike Pappas, Paul Sarbanes, Gus Skropos, Olympia Snowe, Chris Sperou, Ona Spiradellis, Nick Theodore, Paul Tsongas, Gary Yancey, Gus Yatron. “I do thing we need to form a “Dynamis” in New York, that is not influenced by either political party”, said Michael Parlamis, expressing satisfaction that many Greek American seek high political positions in both local, state and federal lavel, around the country. “I think from think from we can generate not only pride, but also influence from non Greeks, who see we are active and have some muscle behind us, whether is financial, or votes”. Parlamis noted other ethnic groups have shown much greater support for their own people. Asked whether we have a lot of Greek American organizations, Mr Parlamis said these organizations care more about the place of origin, i.e. Cyprus, or Chios, or Macedonia. “Each one is parochial and have a kind of provincial view of people that come from various parts of Greece. But if you go and ask as from the federal government for special treatment in issues like Cyprus, Greek American relations etc you must go there as a citizen of bigger cause. So we must have a “Dynamis” in New York because it is a small piece of a bigger world”. The next step, Mr Parlamis explains, will be to start organizing the group, with the assistance of James Kakridas and the California Dynamis organization.